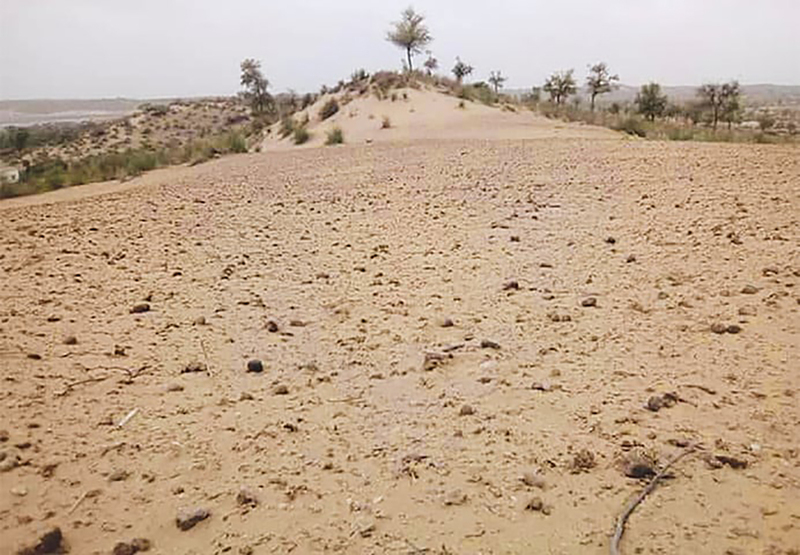 District Tharparkar is currently faced with a drought like situation due to minimal rains in the region. This is leading to adverse effects on agricultural and domestic needs of the local communities in the area, leaving many children malnourished and severely ill. Nine infants have been reported dead this month, while a total of 375 children have died due to malnutrition in 2018. Years of below-average crop production and losses of cattle has worsened the already-dire food insecurity and malnutrition situation in the Tharparkar district. Limited access to clean water and proper sanitation has deeply compromised health conditions of the resident communities. With no further expectation of adequate rainfall, the situation seems to worsen in the near future. The sufferings of affected communities are only expected to increase as they have very limited crop production and their own health, as well as that of their livestock, is only further deteriorating due to a lack of water and food supply. Analyzing the current situation, the district administration has appealed to international aid organizations to send their teams support the government in its efforts to provide relief to the people of Thar. The affected communities require immediate emergency relief in terms of nutritional, WASH and health support. Drought-stricken families from several areas have started migrating along with their livestock to the barrage areas of Badin, Mirpurkhas, Umerkot and other districts. Community World Service Asia (CWSA) has worked towards providing relief and rehabilitation to drought affected communities in the same area before and is currently monitoring the situation. CWSA’s emergency response team is on standby and shall start response activities in case of need.